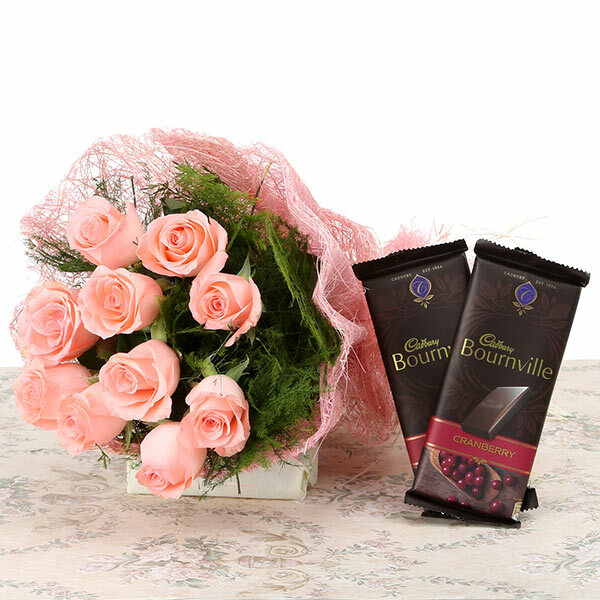 If you really want to win someone''s heart on any special day, this combo of pink roses bouquet and chocolates is a perfect pick. It is perfect to add a personal touch to all kinds of all celebrations. The colors of roses were a little on pinker side then being peach was pretty. My sister loved this gift on her birthday so thank you team. Must say roses were too beautiful. Please GiftaLove maintain such service quality so that i can buy more such gifts.